Upon arrival you will be welcomed by an English-speaking representative of Aratinga Tours and transferred to Hotel Bougainvillea, located in a nice neighborhood at the edge of San José. The well-maintained gardens of the hotel offer a great introduction to your nature tour in Costa Rica. Here you can expect to see some common birdspecies like Great Kiskadee, Rufous-tailed Hummingbird, Blue-gray Tanager, Palm Tanager and Blue-crowned Motmot, beautiful butterflies and several tropical plant families well represented like gingers, heliconia’s and bromeliads. The next day you will travel to the Caribbean lowlands, en route passing through the vast wilderness of Parque Nacional Braulio Carillo. In Caño Blanco you will continue by boat to Mawamba Lodge, a nice jungle lodge with beautiful gardens and a swimming pool at the edge of the rainforest. On day 3 you will be able to explore the beautiful rainforest of Parque Nacional Tortuguero by motorized canoes. Slowly you will pass small jungle canals in search of birds like Keel-billed Toucans, Red-lored Parrots, Anhinga’s and Bare-throated Tiger-heron. Attention will also be given to other animals like White-faced Capuchin Monkeys, Howler Monkeys, Green Iguana’s, Emerald Basilisk, and many more…Besides that the beaches of the Tortuguero area are one of the most important nesting areas for the Green Turtle. During breeding period (July – October) it is possible to do a night tour to watch these giant reptiles come to land and deposit their eggs. Selva Verde Lodge is located in the biodivers area of Puerto Viejo de Sarapiqui. The surrounding rainforest and Sarapiqui river attract many beautiful birds like 3 species of Toucans, Trogons and Tanagers. Also the colorful Poisson Dart Frogs area easily seen here hopping around the hotel gardens, especially after a downpour. On day 5 you will go on a guided walk in the La Selva biological station through a nice piece of virgin rainforest. Here you will be able to see huge canopy trees, strangler figs, leafcutter ants, termite nests, and some interesting birds and mammals like White-collared Pecarry, Agouti’s and up to 3 species of monkeys. After a drive along extensive palm plantations you will arrive in the Dominical area, where you will be staying in nice bungalows at the edge of the rainforest in Hacienda Barú. The diversity in habitats, from primary and secondary forest to tropical beach, pastureland and mangroves makes this a biological paradise. Besides many rainforest mammals you can find here one of the endemic Poisson Dart Frogs of Costa Rica: Dendrobates Granuliferus. On day 11 there is a guided rainforest hike scheduled; your local guide will do his best to show you both 2-toed and 3-toed Sloth, and try to spot birds like Toucans and Parrots. You will leave the coast behind and head towards the mountains again. After having climbed up the Cerro de la Muerte (3400 m) you will descend towards San gerardo de Dota in the beautiful valley of the Savegre rivier. 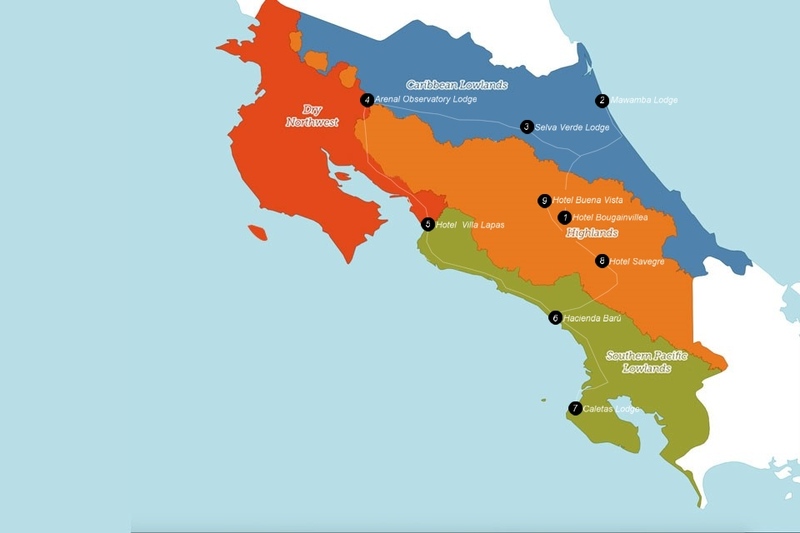 This area is covered with cloudforest and is the best area in Costa Rica to see the spectacular Resplendent Quetzal, many think this is the prettiest bird of the Western hempisphere… Hotel Savegre is a nice and comfortable hotel at the edge of the cloudforest and the Savegre River. 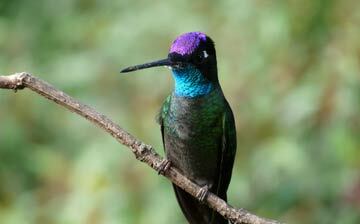 It is the ideal starting point for exploring the interesting avifauna characteristic for the area. 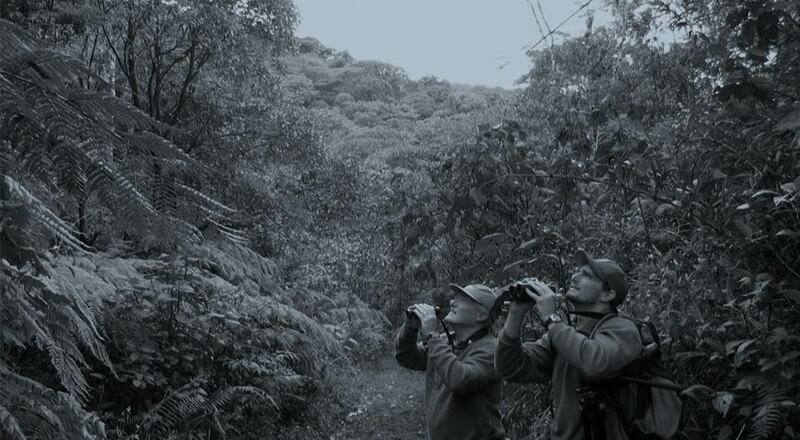 On day 16 there is a guided birdwalk planned in search of the Resplendent Quetzal. You will return to Alajuela, where you will spend your last night in Hotel Buena Vista. IN the late afternoon your rental car will be picked up in the hotel. The next day (day 18) you will be transfered to the airport. End of trip. Detailed information package with practical information, backgroundinformation, road-description, roadmap and birdchecklist.